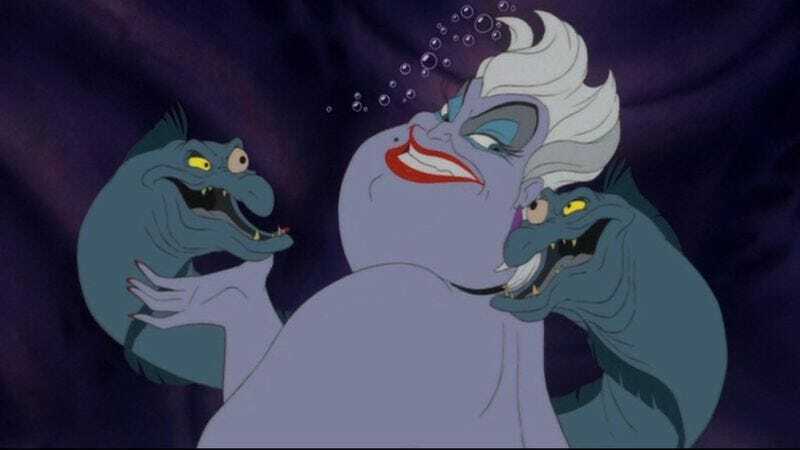 If you’ve ever re-watched Disney’s The Little Mermaid as an adult, you’ve probably had that feeling that the movie’s villain, Ursula The Sea Witch, reminds you of someone. As it turns out, that’s not a coincidence. Ursula is inspired, in both appearance and demeanor, by drag legend and John Waters muse Divine. This revelation begs the question, how does a character based on a poo-eating, ultra-profane cult movie star wind up in a Disney movie? The missing link, according to a new article in Hazlitt, was Howard Ashman. Ashman was the playwright and lyricist responsible for Little Shop Of Horrors. He also came up in the same Baltimore-D.C. gay scene as Divine. After the failure of Smile, his post-Little Shop broadway debut, Ashman and his writing partner decided to take a job with Disney. Ashman wound up working as a producer on the project, as well as writing both music and dialogue. During the early stages of the film, animators tried several versions of Ursula, until finally Ashman saw one that inspired him. Sadly, Divine, real name Glenn Milstead, didn’t actually get to bring Ursula to life. He died shortly after the release of Hairspray in 1988. That said, everyone who knew him said he would have loved the character.